In Article 1 we provided background on the Fast n Furious short course, including the 4 Stage Engagement approach. In this follow up article we highlight the core tool we use throughout the program and key learnings from working with nearly 60 companies who completed the course during 2016 -2017. Research conducted by McKinsey and Co highlights the importance of tying innovation strategy and objectives into core business strategy and goals. Over 90% of businesses participating in our short course had not established clear financial goals for their innovation pipeline, nor had they established an innovation portfolio that balanced short term ‘incremental’ innovation e.g. line extensions such as new flavours with ’step-change’ innovation e.g: new category or channel entry and business model’s innovation. Every business has a limited resource pool and capability, so this must be a starting point in building consistent innovation success. 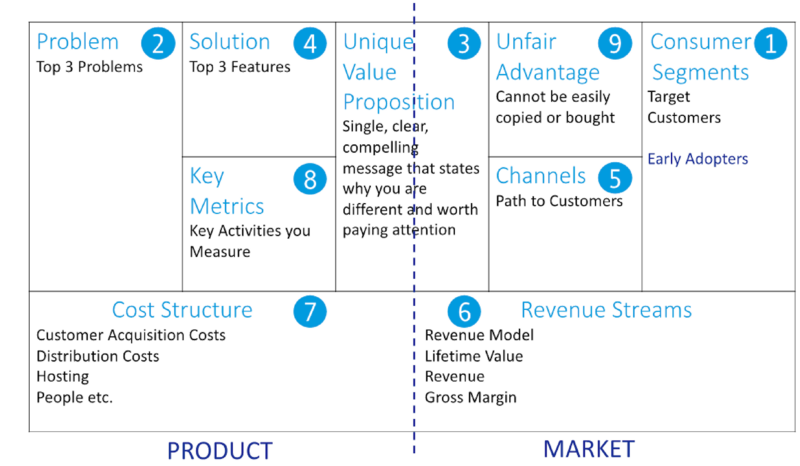 We adapted the start-up business Lean Canvas model for the food and agribusiness sector to provide an ‘Idea to launch’ process for businesses to follow. who would be the early adopter. We need to know which group of consumers we are targeting to then delve deeper into the underlying problems they have with the category; the language they use to describe it and then understand how we provide a solution that addresses their specific problem. change behaviour if we understand problems they have with current offers on the market – real, perceived or not yet known. Consumer Profiling Tool and open-ended question techniques were used during calls & interviews conducted during the workshop to check that the problem hypothesis was real with the early adopter before jumping into solution mode. This reversed the process many companies used previously of trying to ‘sell’ an idea or product concept without fully understanding the underlying consumer problem that exists in the first place and then developing a solution that meets their need. 1. They didn’t know if the consumer problem was important enough to change behaviour for the solution offered. and often ended up costing too much to produce. 3. Focus on the product alone and not recognising how elements such as brand, service, channel and customer engagement were also key areas to differentiate, gain trial, adoption and repeat purchase as well as making it harder for competitors to copy. countries led to less meaningful differentiation. 1. Are you reaching your target early adopters with your value proposition and message? 2. Is the message understood and addressing a problem that is relevant? 3. After trialing the MVP, does it solve the problem they expected at a price where they see value? 4. Are there unexpected things about the MVP launch you can leverage in the next evolution of the product? The beauty of engaging directly with the target market to get the ‘Voice of the Consumer’, whether physically or through the digital environment, is you can quickly put these lead measures in place for a low cost to get feedback. This insight allows you to learn fast and explicitly. 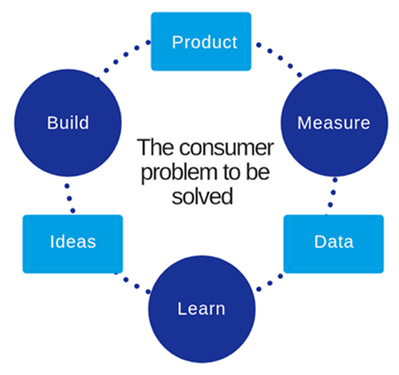 The build, measure, learn cycle (outlined below) focuses on building and validating a model for the business and innovation to ensure you can create something that meets a real consumer problem. Fresh Fodder, owned by Max and Fiona Schofield, produces hand crafted dips, salads and meals from its home base in Orange, NSW. 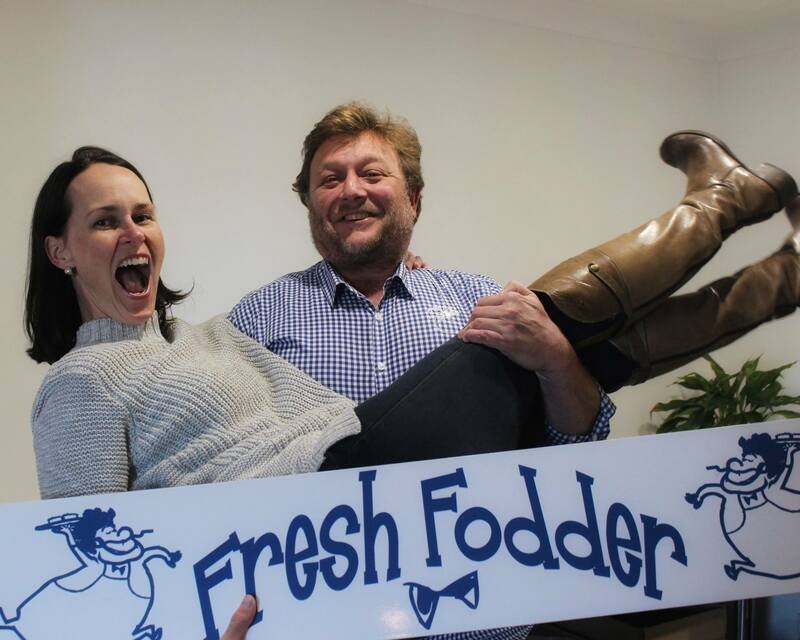 Sold in independent retailers in NSW and Victoria, Fresh Fodder has a turnover of $4 million per annum and 22 employees. Renowned for producing Australia’s best tasting Taramosalata, ‘The Gangster Dip’, Fresh Fodder had extended its range of fresh natural products into salads and ready meals. Max and Fiona participated in the Central NSW FIAL Fast n Furious Innovation short course, hoping to discover the next ‘big thing’ in dips. wasn’t the product, but poor packaging visibility and lack of differentiation on shelf, (this problem was exacerbated by the glut of competitive products on shelf, many of them ‘me-too’) . They also identified the need to improve distribution to enable availability where target consumers shopped. During the short course phone interviews were conducted and they found that people either couldn’t find their brand or it wasn’t available in certain stores, so loyal customers had to make a compromise in a hurry. They left the course with the realisation that profitable growth potential lay in innovating their core range, channel extension and business model adaptation as low sales were not attributable to the product, but to poor packaging visibility and differentiation on shelf as well as a need to improve distribution. Since the Fast n Furious short course, the owner/directors of Fresh Fodder have brought a team of people on board to help run the business, so they can devote more time where they can add value; growing the business and building on their innovation capabilities. This includes expansion into new channels, outsourcing production of non-core products and expanding product formats within their core range. The unique mentoring session held 6 weeks post the workshop focused on how to address the key shopper problem – lack of shelf visibility and standout – to drive greater differentiation and presence. Coupled with the different colours for each of the dips in their range, starting with blue for ‘The Gangster Dip’, this quick and simple solution provided far greater impact on shelf. Copyright © 2018 Percolate Pty Ltd. All Rights Reserved. XPotential is a trademark registered by Exploding Potential Pty Ltd.